This week on The Apprentice: crushed ice, broken dreams and a heap of Belgian waffles. The latest Apprentice treasure hunt failed to turn up any of the items of teeth-rotting confectionary immortalised in the Beatles ditty Savoy Truffle. But I suspect the clueless contestants would have done better trying to locate a “nice apple tart” for London’s Savoy hotel, than 12.5 kilos of chamomile flowers tea. After Stella’s disastrous truffle hunt of 2010, the girls had to live down an unfortunate reputation for discount shopping in all the wrong places. The boys — already two-time losers — just needed a win. 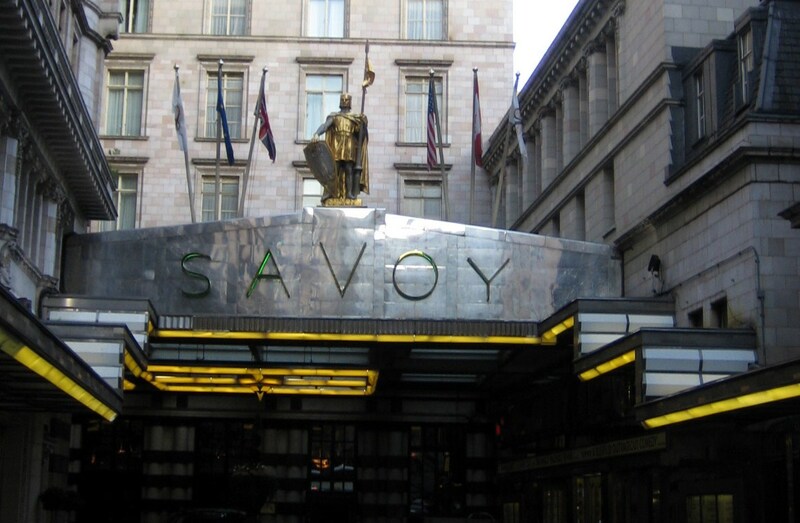 The Savoy is about to reopen after a three-year programme of refurbishment. They’ve spent over £220 million, but someone forgot to buy chandelier bulbs, 3-ply loo rolls, crushed ice and a few other items without which they couldn’t possibly call themselves a luxury establishment. That was the (somewhat unlikely) premise of this week’s task, as Lord Sugar once again assembled the troops at an ungodly hour. Just to make things really confusing, Leon, Jim and Glenn moved over to Venture, with Natasha, Ellie, Melody and Zoe joining Logic. If you’re now asking “Who the hell is Zoe?”, you’re not alone. According to the official BBC site, she works for a drinks manufacturer and characterises herself as a “why not” girl. But let’s be brutally honest, Zoe is also one of those candidates who doesn’t make much of an impression and that’s rarely a good thing on this show. This week’s episode unfolded in somewhat predictable fashion. Susan’s team got its act together very quickly and was soon out pounding the pavements of Mayfair in search of items like a top-class top hat, 7 kilos of fillet steak and (yes) that tea. Now, if you had nine hours and a budget of £2,000 to buy 10 items, would you go shopping in one of the capital’s most exclusive enclaves? Earlier, Susan had concluded that prices were likely to get more enticing the further east they went, but she failed to put that theory into practice. Team Logic, led by the thoroughly uninspiring Gavin Winstanley got caught up in “three hours of pontificating” and soon found themselves lagging behind. Luckily, we didn’t have to share in the tedium of their inactivity. But we did get to watch Natasha Scribbins make a right idiot of herself, as she attempted to take a shortcut by calling a rival hotel (the Ritz) to ask where they did all their best deals. Was this just “naive” (as Karren wearily concluded), or the kind of ballsy strategy you’d expect from a candidate who’d failed to locate her underwear at the beginning of the episode? Would you know where to lay your hands on a stainless steel cloche? Gavin’s mob weren’t really on the right track thinking they’d find one in a garden centre. Come to think of it, Gavin looks a bit like a garden gnome, though I suspect those little people can boast rather superior managerial skills. This turned out to be one of the few items that Susan’s team didn’t pay through the nose for thanks to Glenn’s sterling negotiating skills. One of the highlights of the week for me was watching smooth-talking Jim demonstrate his “rapport” with a couple of upmarket butchers, by shaving another £10 off the steak. What a charmer. Those smiling Irish eyes made quite an impression on the light-bulb lady, too. But many of this week’s traders took a very dim view of the candidates and their negotiating techniques. It was as though they’d all warmed up by watching a Stuart Baggs showreel and then collectively decided on a policy of offering no discounts — or sympathy. Venture’s tendency to throw money about like confetti finally caught up with them when Susan went tea shopping. If you think a box of PG Tips is a bit pricey these days, don’t even contemplate buying chamomile from the Rare Tea Company. Susan’s expression on being quoted £990 for 12.5 kilos can only be described as gobsmacked. (Were 18 carat gold shavings one of the ingredients in this wildly overpriced brew?) Of course they didn’t pay that extortionate sum, but they did hand over £187 more than canny wee Tom did for the same item. An increasingly desperate (and illogical) Gavin was reduced to visiting a dry cleaners called Top Hat in search of that elusive headgear. Meanwhile, Vincent was busy reminding the ladies on his sub-team that it takes a bloke to actually conclude a deal. Natasha and Ellie didn’t take kindly to Mr Not-So-Handsome rudely interrupting their negotiations, as though they were a couple of wide-eyed adolescents. Ellie dismissed him as as a wide boy and “Billy Bullshitter”. 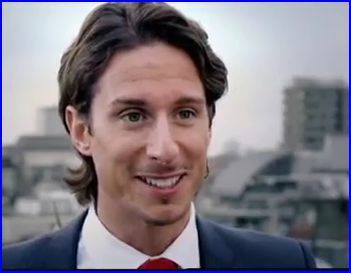 I just think he looks like a spiv. As the hours ticked by, it was clear that the Logic weren’t going to get their 10 items unless they actually fell over a heap of dry ice and a cloche during their fruitless perambulations. But I was also worried that negotiating a trifling1 penny discount off the price of a top hat wasn’t going to help Venture’s bottom line. It was a close run thing. Once the penalty fines were taken into account, Venture had spent £1,381.69 in securing 9 pieces of shopping. Losers Logic had shelled out £8 more for their paltry 6 acquisitions. Susan’s free-spending victors departed for what was described as a “circus-style cabaret” in Covent Garden. The lissome ladies there had Leon looking a bit hot under the collar as they gyrated above the bar. Gavin brought back Vince and Zoe for a stroll down Losers Lane. This was a bit boring. Zoe did get to speak, if only to whine about not being given a chance to do much. That’s not a survival strategy that ever cuts much ice with Lord Sugar: just ask last week’s loser, Alex. Vince looked smarmy, and Gavin couldn’t offer much of an excuse for his failure to control the team and those wasted hours at the beginning of the day. Gavin got his marching orders and lucky Zoe got the benefit of the doubt. But the best line was Lord Sugar’s insightful put-down of Vince: “I know you’re Belgian, that’s where the waffles come from”. You can stick that one in your toaster, Mr Disneur!